Health and fitness play a vital role as it’s a good way to find happiness and calmness in life. Lifestyle has become busy and everyone hardly finds enough time to keep themselves fit by way of physical exercise or by using sophisticated modern health equipment. And during Christmas, gaining a few pounds after enjoying Christmas desserts is often inevitable. In this article, we will let you know how to stay fit during the Christmas holidays when food and drinks are in abundance. Use a smartphone pedometer app which will tell you how much exercise you have done in your daily schedule. Doctors recommend that you must take at least 10,000 steps in a day to be fit and healthy. Well, if you do not take these steps in a day, you will need to find ways to be more active in your daily life. Fitness apps provide different features like results tracking, motivation not to stop, education on the topic. It’s like to have a personal coach in a pocket affordable for everybody. But before going ahead, it’s necessary to define the direction. In this category of apps, the application can track user’s physical activity, in other words, it can track almost everything you have done throughout the day. It gives users an information about steps taken, stairs climbed, hours slept, distance and speed run and calories burnt. Some of the examples in this category like Google Fit, Fitbit, Pedometer & Fitness Tracker etc. Diet and nutrition apps help users monitor their food habits, count many calories taken/burned, control water balance, body weight, and so forth. In this category of apps, it can track your nutrition habits. But they have more of a specific functionality. Some of the examples in this category like Calorie Counter by MyFitnessPal, Lifesum etc. In this category of apps, the applications provide a user with a set of exercises and validate how they should be performed. The application provides you a personal fitness trainer in your smartphone. You can take him everywhere and exercise with him at any place. Sometimes you can even choose a coach or trainer by name and level of physical training, as it is done in Abs Workout app. The list of applications in this category is huge on both the Android and iOS. 7 Minute Workout, Jawbone UP, SworKit Personal Trainer, Abs Workout and many other. Must Read: Avail Flat 50% Discount This Christmas! 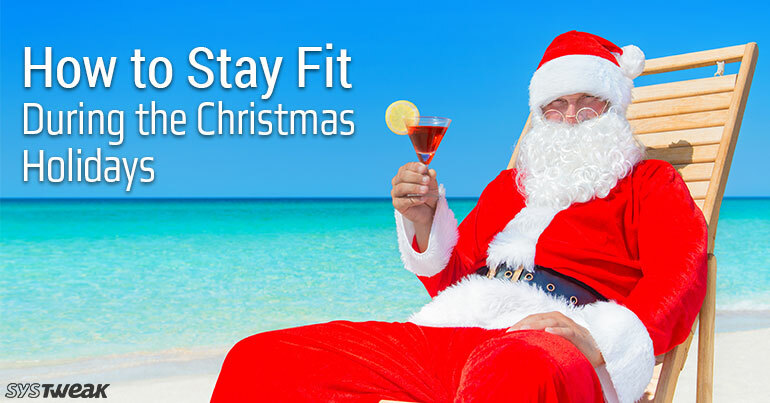 To sum up, we advise you to stay fit during this Christmas with the uses of fitness apps. Fitness tracking apps have contributed to a large extent in people’s health. These fitness apps are now being developed for both android and iOS. We can select any of these health apps as per our requirement and download them on our smartphone or tablet, it will not only save our time but also our money. So, this Christmas stay happy and stay healthy!